STX Entertainment has delayed the release of two of their upcoming summer movies. Both The Happytime Murders and Mile 22 have been bumped back slightly, but are both still arriving in theaters this August. These moves shouldn't necessarily be cause for concern, assuming you're excited about either or both of these late summer releases. It seems to be more of a strategic repositioning by STX. Your scheduled Mark Wahlberg action movie and R-rated Melissa McCarthy puppet comedy should be coming more or less as intended, just slightly later. Starting with Mile 22, the Peter Berg directed action flick has been bumped back by two weeks. The movie, which stars Mark Wahlberg in the lead, alongside Lauren Cohan, Iko Uwais, Ronda Rousey, and John Malkovich, was originally set to debut on August 3. STX has now moved its opening date to August 17. In its new spot, Mile 22 will be competing with the ancient man and his wolf-dog story Alpha, as well as the crime thriller Three Seconds. Mile 22 is still arguably the most high-profile release arriving that day. The prior week sees the arrival of Jason Statham's giant shark movie The Meg and Spike Lee's highly-anticipated BlacKkKlansman. This move for Mile 22 makes the shifting of Happytime Murders completely understandable. The puppet comedy was originally supposed to arrive on August 17. Obviously, STX doesn't want to be competing with themselves on the same weekend. So, they've simply moved Happytime Murders back a week to August 24. On its new date, the Melissa McCarthy movie may be facing off against Slender Man. Though, there has been some quarreling with the producers of Slender Man, who have been searching for a new distributor. As of right now the released date hasn't been shifted, but it still very well could move off of that date. The only other real competition coming out that week is Destination Wedding, which reunites Wynona Ryder and Keanu Reeves for a rom-com. 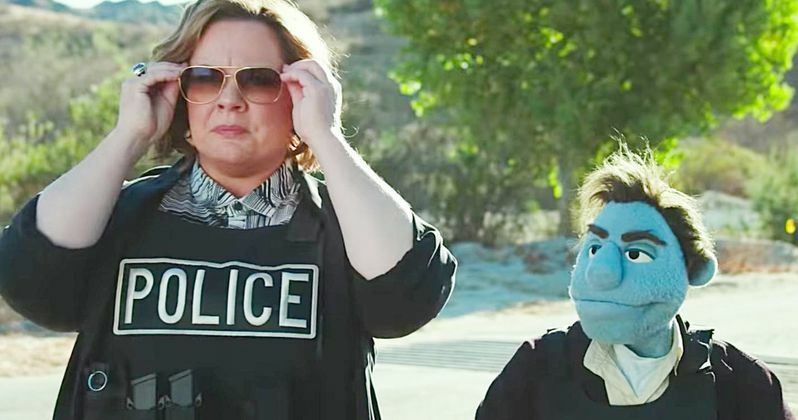 Happytime Murders should be able to fend off any of those newcomers as moviegoers seem to be pretty into the idea of Henson-esque puppets doing filthy stuff alongside humans. The movie recently was subject to a lawsuit by the people behind Sesame Street, given the movie's tagline, "No sesame. All street." But Happytime Murders emerged victorious. Mile 22 reunites Mark Wahlberg with director Peter Berg for the fourth time. The duo has collaborated previously on Lone Survivor, Patriot's Day and Deepwater Horizon. The Happytime Murders is a project that has been in the works for some time and comes from director Brian Henson, son of the legendary Jim Henson. The movie stars Maya Rudolph, Joel McHale, and Elizabeth Banks in addition to McCarthy. The studio, in a reasonably smart move, debuted the first trailer alongside screenings of Deadpool 2. Not only was that one of the biggest movies of the summer, but there's likely a lot of crossover with audiences there. This news comes to us courtesy of STX Entertainment. Happytime Murders Vs. Puppet Master: Which R-Rated Puppet Movie Should You See?